Hi everyone! Today, I am not taking about any skin care, makeup or any grooming product but something which I feel is a must have unless you do not feel the need. 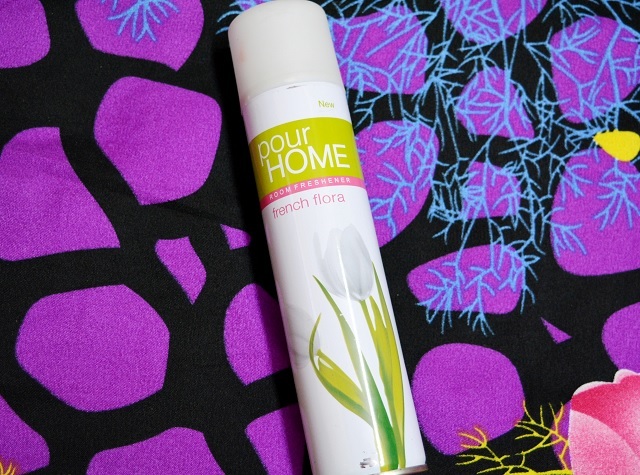 I will review this Pour Home Room Freshener French Flora. This is a room freshener which has very exotic smell that is truly captivating. 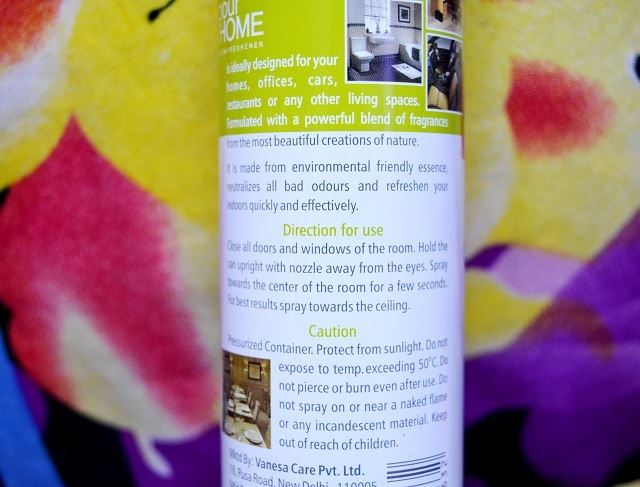 About: Vanesa Care, the leading aerosol manufacturer has introduced POUR HOME range of fragrances for home. The ranges are ‘French Fusion’ and ‘French Flora’ crafted with International aroma of freshness for home. Both the fragrances open with the burst of French floral fragrances giving a sensorial pleasure which will make everyone fall in love with the fragrance. These fruity aromas are crafted in such a way that suits Indian climate condition and high aspirational value. Vanesa Pour Home ‘French Fusion’ and ‘French Flora’ presents you complete bouquet to keep your home fragrant and lively for your loved ones. The product is available in 300 ml pack for just Rs.125 and 250g for just Rs.190. It has presence across general trade, departmental stores and leading e commerce stores. This comes in a tall bottle like many room fresheners. I never liked the woody smell in my rooms, Since I keep woody for myself but for the air fresheners I like florals or fruits fragrances. This has the nice soothing smell which instantly uplifts the mood. Honestly, it does, like I can spray this in the house or in the car to feel that breath of fresh air. The freshness that it spreads in the room, car or even in your office is truly remarkable. I have used roses fragrances a lot but this is different a a lot better. I will highly recommend that you try this,I am very sure you will like this. Moreover, the price is only 125 rupees and the bottle is going to lats for 1 month definitely hence is very economical.